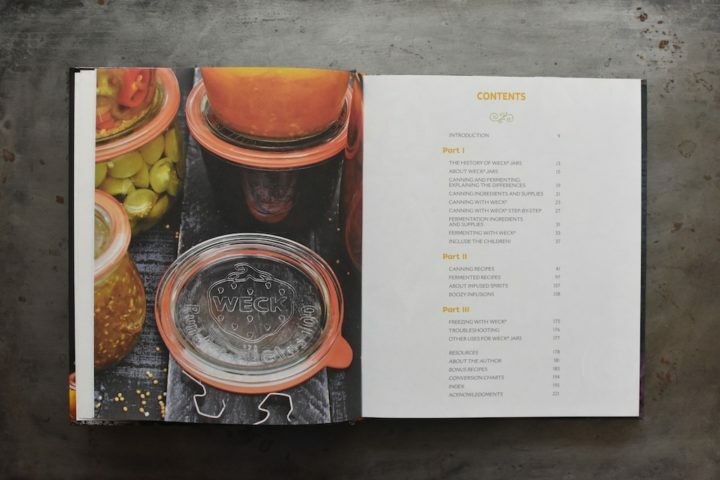 I have been a fan of Weck preserving jars since I first discovered them in my early days of canning (gosh, that’s more than a decade ago now!). At the time, they we were hard to come by and finding reliable information on how to use them was a challenge. 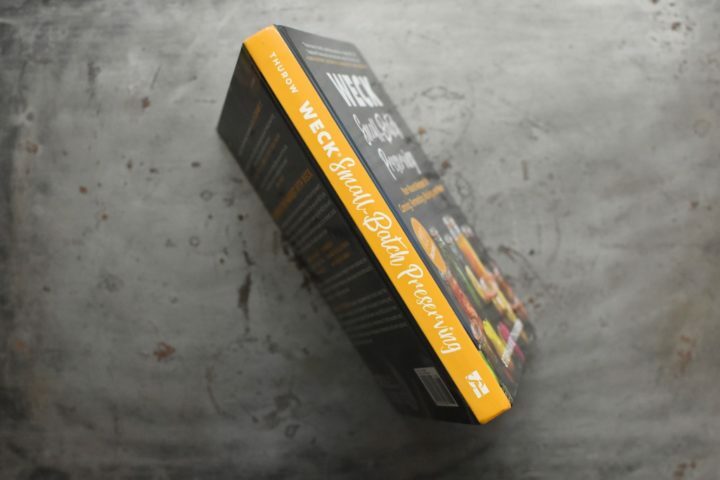 While they’re not as much of a mystery as they used to be, there’s now a cookbook devoted to preserving with Weck that is certain to become the definitive resource for all of us who use and admire these stylish glass jars. 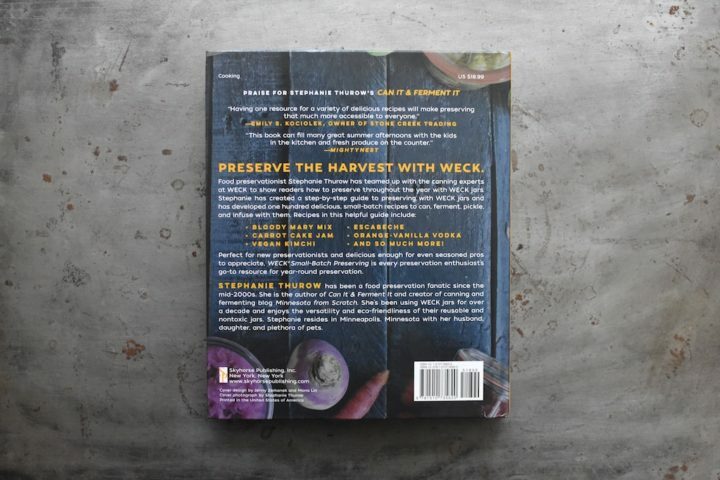 This new book is called Weck Small-Batch Preserving and is written by Stephanie Thurow. 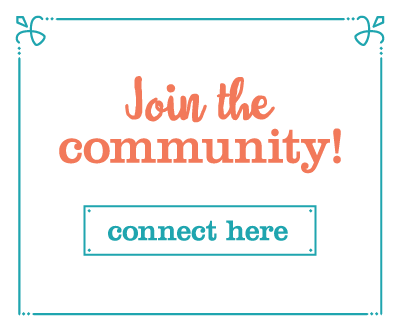 Stephanie is also the author of 2017’s terrific book Can It & Ferment It and she blogs over at Minnesota from Scratch. While this is essentially a cookbook filled to bursting with recipes scaled for Weck jars, it also contains some fascinating information about the origins of Weck jars, including the fact that Johann Weck got into the business of selling jars because he wanted to divert some of the abundant fruit harvest away from alcohol production! 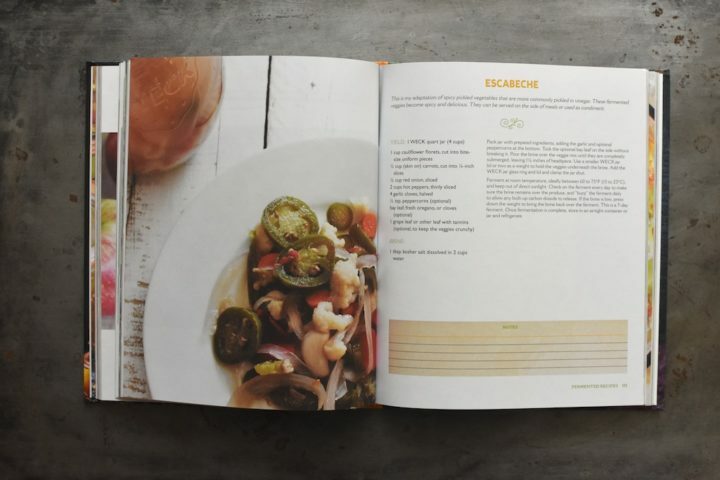 As you move through this book, you’ll find that the recipes break down into three categories. There are preserves designed for the boiling water bath canner (like the Hot Pepper and Apple Jam pictured above that I’m itching to make). 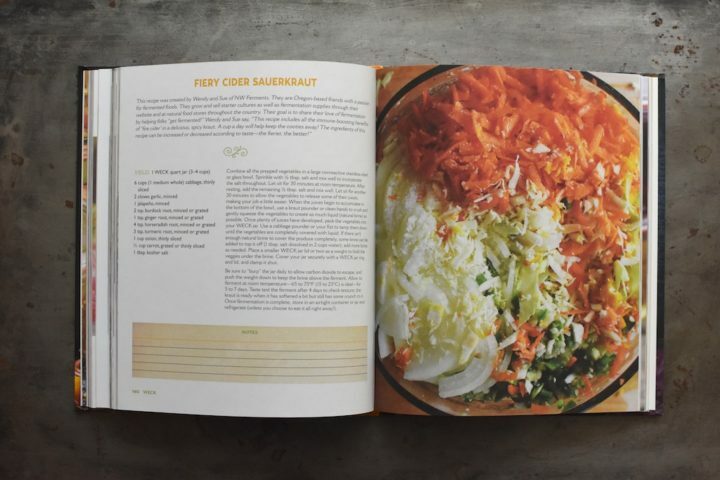 There are lots of ferments, including recipes for kvass, kimchi, and pickles. The Fiery Cider Sauerkraut that’s pictured above and the Escabeche that’s pictured below are two examples of this robust fermentation section (they’re also the two ferments I’m hoping to try out soon in my own kitchen. I do love a zippy, spicy pickle!). And despite Johann Weck’s desire to move away from alcoholic things, Stephanie has included a most useful section on boozy infusions. They are all relatively fast infusions, which means they’d all be great options if you’re hoping to make and give some homemade liqueurs this holiday season. 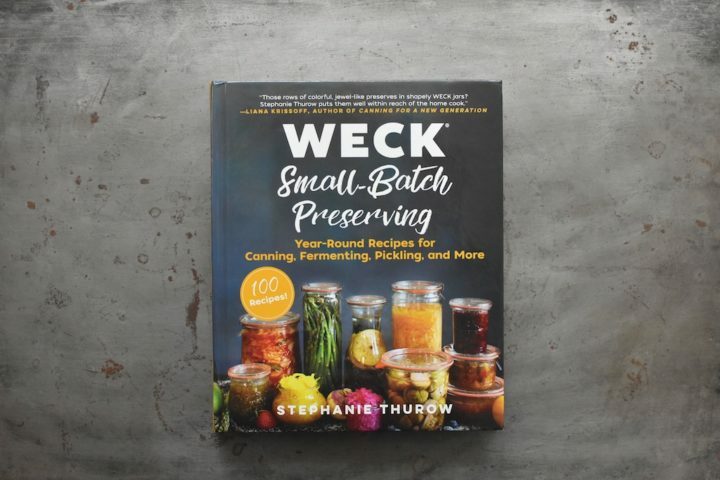 If you’re a fellow Weck jar lover, I recommend checking out this book. Disclosure: I received a review copy of this book at no cost to me. I was not paid for this post and all opinions expressed here are entirely my own. I love the look of Weck jars but don’t have any. 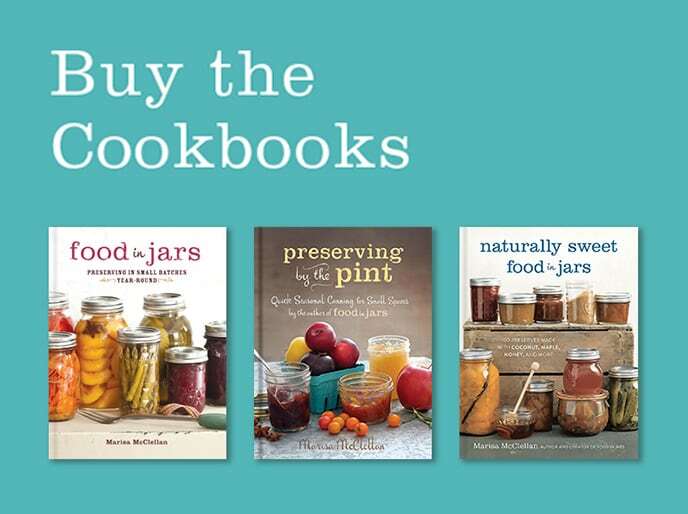 Do you think the boiling water bath recipes in the book will work with Mason jars? They would work just as well in conventional mason jars. 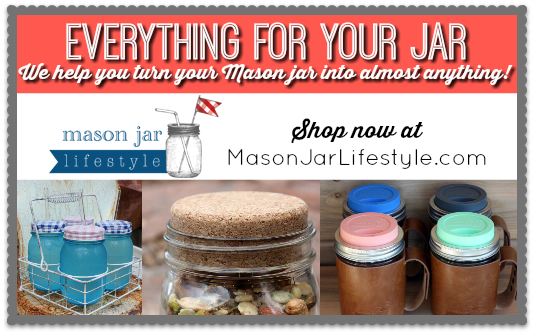 I’ve been intrigued by the Weck jars for a while but haven’t made the leap. Are they truly better than Ball, etc.? I wouldn’t say that they’re better. They have a different look, which a lot of people like. I have recently purchased two Weck jars but don’t have any plans to invest in a great many of these since I have a lot of regular canning jars. 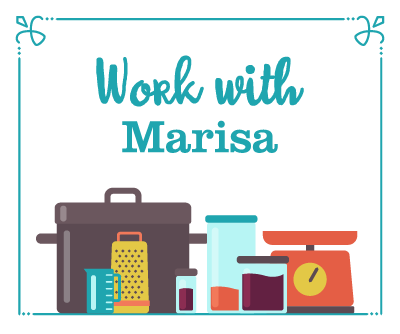 I was just wondering if these recipes are just for Weck jars or can regular canning jars be used also. Need to check this out before purchasing the book. The recipes in the book sound wonderful. 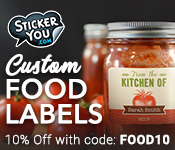 Though I know the fermenting can be done in either kind of jar. 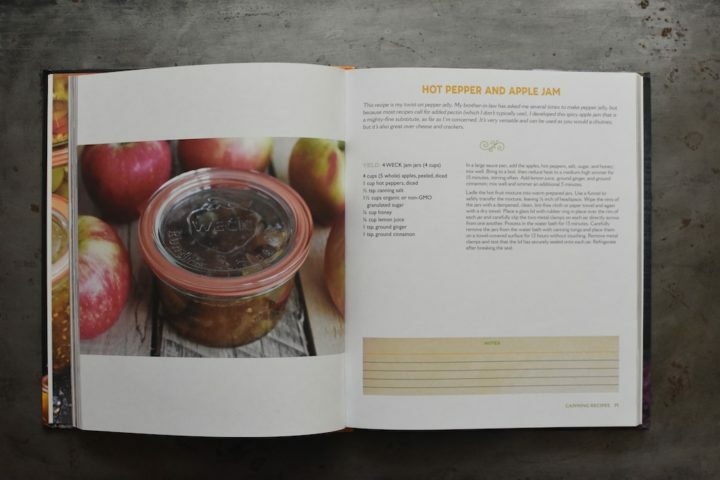 All the recipes in the book will also work with conventional mason jars. 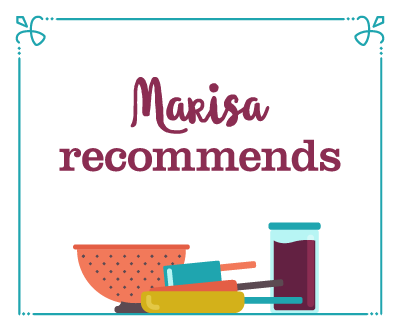 Thank you Marisa. I have two of your books and think I will add this one to my canning collection. Now, since I’ve gotten the book, I have another question. In her recipes for kvass she does not add whey. I made the apple-cinnamon kvass following her instructions and after 4 or 5 days it got bubbly, at which point I strained and put in another bottle to refrigerate. Now looking at other recipes online for kvass, all seem to add whey. I was wondering if you get the same probiotic benefits without using whey. Or could I add whey from yogurt to this? 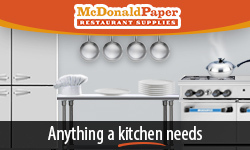 Thank you for this link. I tried finding her online but there was some problem with the blog/web site I clicked on. Thanks again.